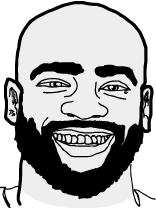 Compared to some other notable Toronto Raptors, Vince Carter was one of the most diverse players of the group. Note: One area closest to the net was excluded from the 'per cent made' calculation because of the large difference in total shots taken compared with the rest of the court. All player shots are during their time as a Toronto Raptor. Lowry and DeRozan shots are as of 15'-16' season.